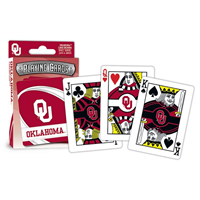 Love our Oklahoma Sooners so much? Take them along to school with you! No matter the time of day, or where you are, show your team off! 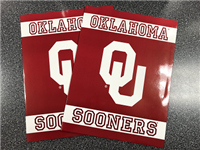 This Crimson and White folder is exactly what you're looking for! One opening on the inside of folder, for a total of two slots. Be sure your little one is ready this school season! Don't miss out on this officially licensed collectible pin! 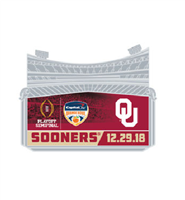 Wincraft Collection brings you this OU Sooners Playoff Semi-Final Orange Bowl Pin! Show off your team and wear it with pride! 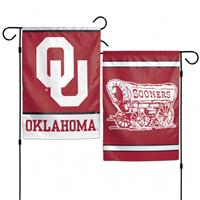 You're the number one Oklahoma Sooners fan out there. 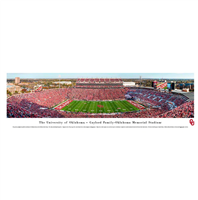 Single Mat Select Unframed Panoramic Print! With stunning high definition photography, this poster will give your fan cave that much needed boost. 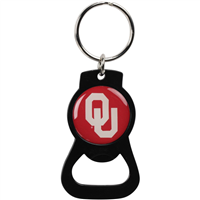 Your friends and family will immediately know where your loyalty lies! These quartz clocks make a great gift! It has a built in hanger for easy wall mounting, and runs on 1 AA battery (not included). The clock is 12" x 12" in size. This high quality quartz movement has been carefully adjusted at the factory. Accuracy is +one minute per year. 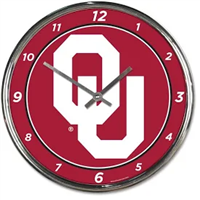 Count down the hours until the next Sooners game with this Oklahoma Sooners 12.75in Round Wall Clock. Liven up your decor with this Wall Clock, which features a team name and logo in center. Boomer Sooner!! !